In 1984, Jacobo Bolbochan (born in 1906) died in Argentina. He was Argentina champion in 1932 and 1933. 1933. He was awarded the IM title in 1965. He played in three Chess Olympiads; Warsaw 1935, Stockholm 1937 and Buenos Aires 1939. In 1984, Steve Doyle was elected USCF President. He was USCF President from 1984 to 1987. In 1984, 500 French Miniatures by Bill Wall was published. In 1984, Garry Kasparov became the No. 1 ranked player in the world, surpassing world champion Anatoly Karpov. His rating was 2710. He became the youngest ever world No. 1, a record that lasted 12 years. In 1984, Walter Browne (1949-2015) was the only American on the list of 20 highest-rated players in the world. His rating was 2585. In 1984, the first satellite simultaneous exhibition was given by Kasparov, playing opponents in London and New York at the same time. In 1984, an episode called "The Best Chess Player in the World" appeared on Tales of the Unexpected (UK TV series from 1979 to 1988). In 1984, Chess, the musical, was released. The music was by Benny Andersson and Bjorn Ulvaeus of ABBA. In 1984, John Nunn had a performance rating of 2886 at the Thessaloniki Chess Olympiad (10 of 11). In 1984, Walter Shipman (1929- ) won the Manhattan Chess Club championship. 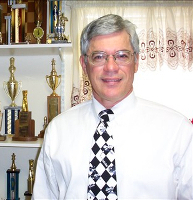 In 1984, Jay Bonin (1955- ) won the Marshall Chess Club championship. In 1984, the Chess Collectors International started. In 1984, Air Force Sergeant Emory Tate won the 25th US Armed Forces championship. He won the first Haskell Small Award for top individual honors. The Air Force won the team championship. In 1984, Andrei Sokolov won the 51st Soviet Championship, held in Lvov. In 1984, Sophia Gorman (Rohde) (1964- ) became the youngest international arbiter at the age of 19 when she was an arbiter at the 1984 FIDE World Candidates tournament. In 1984, the first time a microcomputer won an event with mainframes, in Canada. On January 7, 1984, GM Luke McShane was born. He was World Under-10 Champion in 1993, and is the youngest-ever British player to achieve both the IM title (at age 13) and the GM title (age 16). On February 4, 1984, Albert Pinkus (1903-1984) died in New York. He was an American chess master. On March 16, 1984, Reginald Bonham died in Worcester, England. He was blind world champion in 1958. On March 28, 1984, Comins Mansfield (born in 1896) died. In 1972, he was awarded the GM title for chess composition. In April 1984, Walter Browne took 1st place on tiebreaks at the National Open, held in Las Vegas. There were 501 players in the event. On April 23, 1984, GM Alexandra Kosteniuk was born in Perm, Russia. In 2008, she won the Women's World Chess Championship. On May 17, 1984, Albert Becker died in Vicente Lopez, Argentina. He was Austrian champion in 1925 and 1937. He was awarded the IM title in 1953. On May 19, 1984, Roger Long and Graham Croft played 200 hours of non-stop chess in Bristol. On June 4, 1984, GM Vinay Bhat was born in Santa Clara, CA. He became America's youngest master at one time, at the age of 10 years and 179 days. He was an International Master at age 15 years and 10 months. On July 16, 1984, William Cozens died in Taunton, England. He was a chess author. On July 30, 1984, Lev Alburt won the U.S. chess championship, held in Berkeley, CA. Shirazi went .5 points in 17 games and lost in 5 moves to Jack Peters. On August 13, 1984, Tigran Vartanovich Petrosian (born 1929), former world chess champion, died of stomach cancer in Moscow at the age of 55. He is buried in the Moscow Armenian Cemetery (Vagankovo Cemetery). On August 25, 1984, Max Blau died in Bern, Switzerland. IM 1953. He was Swiss champion in 1953, 1955, 1956, and 1967. On August 31, 1984, Moshe Czerniak died in Tel Aviv. He was Palestine champion in 1936. He was awarded the IM title in 1952. He was Israeli champion in 1955. On September 4, 1984, Fedor Bohatirchuk died in Ottawa. He was USSR champion in 1927. IM 1954. IMC 1967. On September 8, 1984, GM (1962) Mijo Udovcic (1920-1984) died in Zagreb, Croatia. On September 10, 1984, the Karpov-Kasparov world championship match began in Moscow. It was halted in February, 1985 after 48 games. At the time, Karpov had won 5 games and lost 3 games. On September 9-15, 1984, the 4th world microcomputer championship was held in Glasgow, Scotland. Psion, Princhess X, Fidelity Elite X, Mephisto Excl S all tied for 1st. On September 17, 1984, GM Tigran L. Petrosian was born in Armenia. On October 6, 1984, Vlastimil Hort played 663 games in 32.5 hours at Porz, West Germany. On November 9, 1984, Jindrich Fritz died in Prague. IJComp 1956; IMComp 1966; GMComp 1975. From November 18 to December 5, 1984, the 26th Chess Olympiad was held in Thessaloniki, Greece. At the 1984 chess Olympiad in Thessaloniki, Greece, Ion Gudju (born in 1897) of Romania served on the appeals committee. He was 87 years old and may be the oldest player to participate in the chess Olympics (but not as a player). He played in the first unofficial chess Olympiad in 1924 in Paris. In 1984, the famous Bermuda Party was held, which continued until 1998. It was the biggest social event of the Olympiads. John Nunn of England won three gold medals: best score on board 2, best performance rating, and winner of the problem-solving contest. The USA team defeated the USSR team for the first time in Olympiad history. The youngest player in the event was 12-year old Isabelle Kintzlere, who played 3rd board on the French women's team. On November 27, 1984, an episode (Season 3, Episode 8) called "Puzzled Steele" appeared on Remington Steele (TV series from 1982 to 1987), starring Pierce Brosnan. A game of chess was played. On December 21, 1984 Kenya issued 5 chess stamps to commemorate the 60th anniversary of FIDE. On December 22, 1984 Central Africa issued a chess stamp depicting Karpov.